Measuring torque can therefore quantify the mechanical rotating action on a physical property, expressed in Nm, lb.in, ozin or even g.cm. This measure can be done in both clockwise and counterclockwise directions. Torque measurement can be done in two ways: with a static torque sensor for measurements requiring less than one revolution, or a rotary torque sensor when you want to measure rotary drive systems. What is a static torque sensor? A static torque sensor consists of static / non-moving components and mate with your system to measure the rotating torque. Static torque sensors are easily adaptable to various applications thanks to the wide selection they offer in terms of size, shape and capacity. We offer a wide torque testing range from 0.12Nm to 1000Nm. What are the important things to remember before using a static torque sensor? Most static sensors are not designed to absorb axial forces, so it is highly recommended to control how your sensor will fit when designing your measurement system setup. Also, in order to guarantee accurate and repeatable torque measurements, it is important to ensure that the rotational force is applied perpendicularly. What is a rotary torque sensor? Unlike the static sensor, the rotary torque sensor consists of driven, rotating elements (usually a shaft) and therefore is ideal for systems designed for continuous rotation. The setup must be associated with a braking system. They fit perfectly in applications such as measuring the starting torque on an electric screwdriver or measuring the torque on motor shafts. Our range of rotary torque sensors meets all of these applications. They can be linked to your production equipment through USB, RS232 or TTL outputs. What are the important things to remember before using a rotary torque sensor? 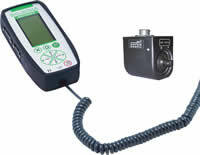 Make sure the drive speed per minute of your rotating element (RPM) is compatible with the sensor specifications. Also, the static sensor alignment of your entire system must be perfect in order to ensure precise accuracy in your measurement. Thus, the use of couplings is highly recommended to compensate for any potential axial, radial, or angular misalignment in between your rotational axes. If we require more data?